The “SSC” or Short-Scale Concept bass is too much fun! 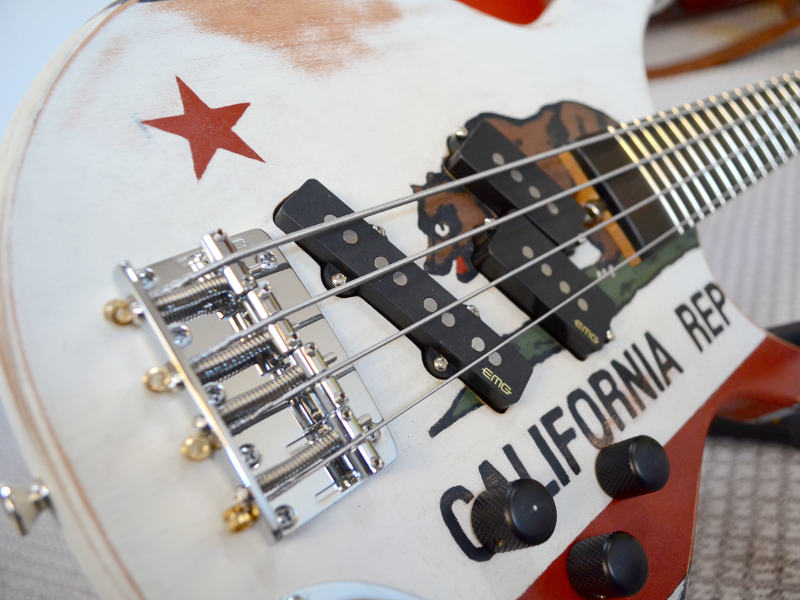 She’s a 30-inch scale, solid-body, electric bass and the compact size is outstanding for smaller hands. Her body is simple plywood and and she has a fast, shallow-profile neck in quarter-sawn, book-matched ash. She’s got passive EMG, Geezer-signature, PJ pickups and runs GHS Stainless Steel Precision Flatwound strings. The finish is custom painted using milk paint from the Old Fashioned Milk Paint Company. This paint is tough, non-toxic and looks great. Follow this link to see her full post with a gallery of images.